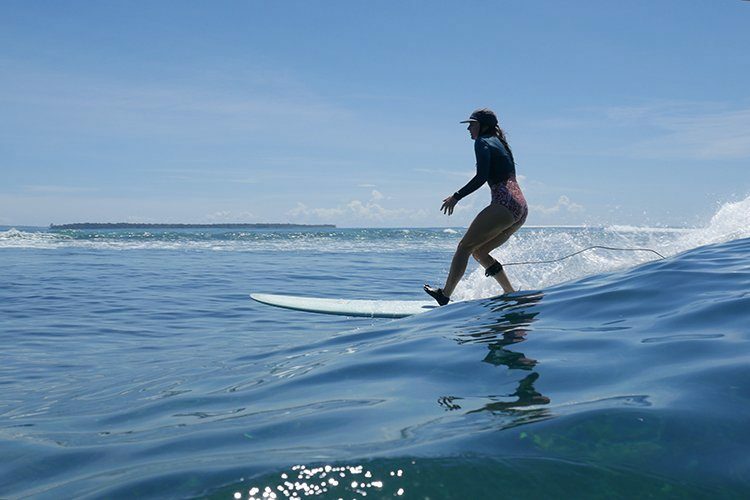 Home » The Mentawai Journal » Is Mentawai for beginner surfers? Is Mentawai suitable for me? I think I’m a beginner surfer? First of all, we need to describe what a beginner surfer is and is not, and this is perhaps the most important point in this post. to catch a wave by paddling themselves onto both right and left hand waves. to discern what kind of wave is the correct wave to catch. to perform a reasonably successful duck-dive or safely bail when caught inside. to surf along the open face of a wave and turn if necessary. to understand surfing etiquette and where they are relative to other surfers already in position. to choose the correct equipment for the conditions. the same as a first-time surfer. necessarily a young person (any age can be a beginner). dependent upon how long they have been surfing. Surfers can surf for years and still NOT have reached a beginner level and surfers can also reach the beginners level on their first day surfing. dependent upon the size or type of board that they ride. A short (or long) board does not make a beginner surfer. Probably not yet a beginner, but having a blast anyway. So if you identify with what a beginner surfer is, then surfing in Mentawai is for you. Can you imagine yourself having fun in these waves? Can you catch waves by yourself – or like these grommets – do you need somebody to push you in? If there are one or more beginner traits that you lack, or you admit the description is above your current skill level, then please consider finding another holiday destination to learn how to surf. You can always come back to Mentawai later when you can confidently surf as a true beginner. OK, I’m not quite a beginner surfer. But why is surfing in Mentawai not suitable for first-time surfers? First time surfers need small waves in order to be in control. Smaller waves break over shallower reef, and this is an objective fact, not a subjective opinion of this author. Often injuries are caused by the board hitting surfer, and this likelihood is increased when you are surfing small waves, because when you fall off your board is closer to you. In my experience, the chances of injury always go up when the swell drops, even with very experienced surfers. The waves in Mentawai that are CLOSEST to a hospital are still 180km (120 miles) over open ocean. If something was to happen to you and your surfing holiday was on a charter boat, it takes most boats 8 – 12 hours to get back to mainland Sumatra. If you’re staying at a resort, maybe they have a speedboat on standby to medivac you, or maybe they don’t? You should ask. You’ll find lots of patient and professional people living and working in Mentawai, and even some people who will try to help you as a first timer, if they can. You’ll also find that there are some other people who take their surfing very seriously and will be frustrated that a first time surfer is in the lineup with them, getting in their way and creating hazards for the other surfers. It is not just the first-timers that are at risk in waves of consequence, but anybody who is surfing with and around them. A close call is never appreciated. I am one of those people that wants to help and see people have a great time while staying safe. With the help of the World Surf League, I’ve created an AirBNB experience for people already in Mentawai, looking for a professional guide to help them get the most out of the amazing waves we have here. Feel free to contact me on [email protected] or through the Airbnb link above if you have any questions about whether or not you think Mentawai is suitable for you? It is always difficult to ascertain somebody’s skill via email or text only, but I can try to help you figure out what the best value for your vacation funds is.